The Bike-a-Thon is BJC’s annual fundraiser where kids raise money to support their team while testing their skills and endurance on a fun and challenging race course. Community organizations like BJC play an important role in shaping our youth, teaching life lessons, and improving health. Your support will ensure we can do this for years to come. Our fundraising goal this year is $15,000! To reach this goal, our community of athletes is asking for pledges and donations. Please donate here to support your favorite BJC athlete. All donations are due by Oct 1st. The event will take place on Tuesday, October 2, 2018 from 4:30-6:00 pm at Butter Ranch (6152 Hygiene Rd). Riders will aim to complete 4 laps on our custom-built race course. We will have snacks and goodies and spectators are welcome to join us! Come cheer on riders and help with donut hand ups. This event is tons of fun for everyone! All athletes from all BJC programs are invited and encouraged to participate. Bring your cyclocross or mountain bike to ride (we have bikes to loan if needed, let us know by Sept. 30th if you need one). Athletes can earn fabulous prizes and swag! The more money they raise, the more prizes they receive. Right now, BJC absorbs a portion of expenses every time a rider joins our program. We do this to ensure BJC is accessible to all families. This means fundraising campaigns like our Bike-a-Thon are an essential part of BJC’s work. – Award additional scholarships to low-income families. – Provide a higher level of training to further develop our coaching staff. – Expand our programs among all levels of junior riders from beginners to experts. 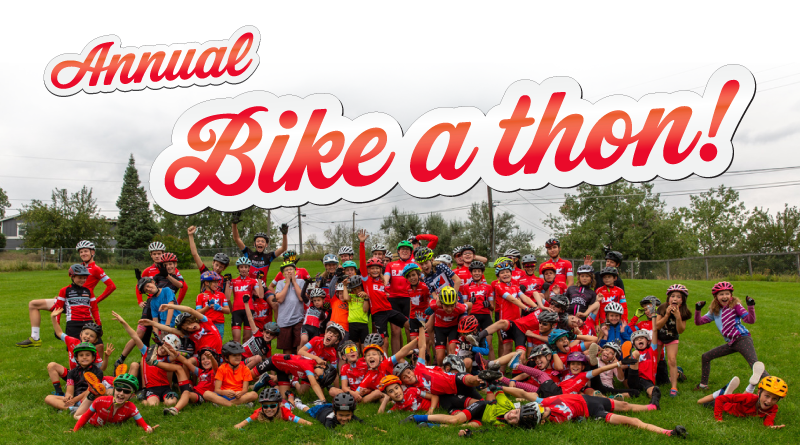 Thank you for helping us get more kids on bikes! P.S. Corporate donations and swag or prizes are needed! Contact us. Donations are tax deductible. Boulder Junior Cycling is a 501(c)3. Our tax ID number is 20-4093704.